This article will help beginners understand a few “feed” essentials: what they are, how they work, and how to use them..
..and so on. Although these invitations to “subscribe” come in many flavors, they are all basically doing the same thing: enabling visitors to receive information from the site without having to manually visit the site itself. By subscribing to your favorite sites, you can stay current with updated content delivered to the “feed reader” of your choice. There are many feed readers freely available around the Web. In many cases, you can even have feed subscriptions delivered directly to your email account. We’ll talk more about different types of feed readers here in a bit. For now, let’s examine a few different types of feeds and how they might be used. As you can see, subscribing to feeds enables you to funnel potentially large quantities of key information into a streamlined application such as an online feed reader or email inbox. This process is referred to as “feed aggregation” and ultimately enables you to review vast quantities of content in a brief period of time. No more trying to remember which information is needed from where and when. No more manually checking every site on your list. Simply subscribe to your favorite sites and blogs and read the automatically aggregated information at your leisure. Major news corporations: CNN, Fox, MSNBC, BBC, ABC, etc. Online organizations: Google, Yahoo, MSN, Amazon, CNET, etc. Retail stores and services: GAP, Sony, Apple, Wal-Mart, etc. As I said, just about everyone! To subscribe to feeds, you will need to choose a feed-reading application, or “feed aggregator”. Depending on your particular computer setup (home, remote, network, mobile, etc. ), you should have access to many compatible varieties of readers from which to choose. Most are free, while others charge a nominal fee or require user registration to download. While checking out the various aggregators, you will see that they vary substantially in terms of usability and functionality. Some readers are bare-bones applications that require a bit of time to configure, while others come fully loaded with tons of pre-configured features and a million pre-subscribed feeds to launch you into action. Many more awesome features = there are too many great features to discuss them all here! Even if Inoreader isn’t your thing, the previous list may serve as a guide to help you know what features and functionality to look for in a good reader. Don’t worry too much about finding the perfect reader. The goal is to get started with feeds — you can always change readers later! Go to your favorite site and click on the “Subscribe to My Feed” (or whatever) link. Copy the feed URL (as displayed in the browser’s address bar) and add it to your reader. Done! Your reader should refresh itself with current items from your new subscription. ..or something along those lines. 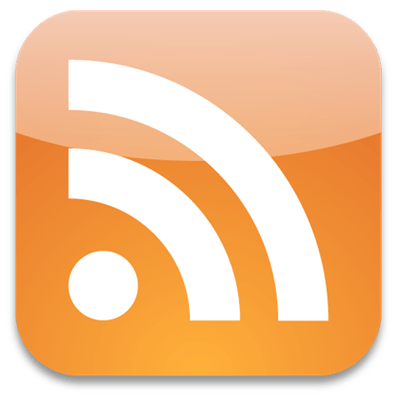 For example, when are logged into your Google Reader account and encounter one of these “one-click” feed-subscription links, simply click the link to subscribe to the feed. It just doesn’t get much easier. On the other hand, if the feed subscription link simply says something like, “Subscribe to main content,” then proceed as before and copy/paste the link address into the “Add Feed” portion of your feed reader. Note that you shouldn’t need to worry about which format to choose for the feed. For example, if a site offers their feed in RSS 2.0, Atom, and plain XML formats, simply select whichever you prefer. Most feed readers available today are well-equipped to handle any feed format you can throw at them! Atom = The collaborative association of “Atom Syndication Format” (an XML-based feed format) with the Atom Publishing Protocol (an HTTP-based resource management protocol, also known as AtomPub or APP). XML = a multipurpose code specification used to format markup languages.